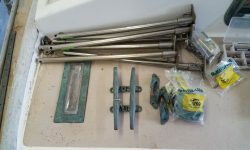 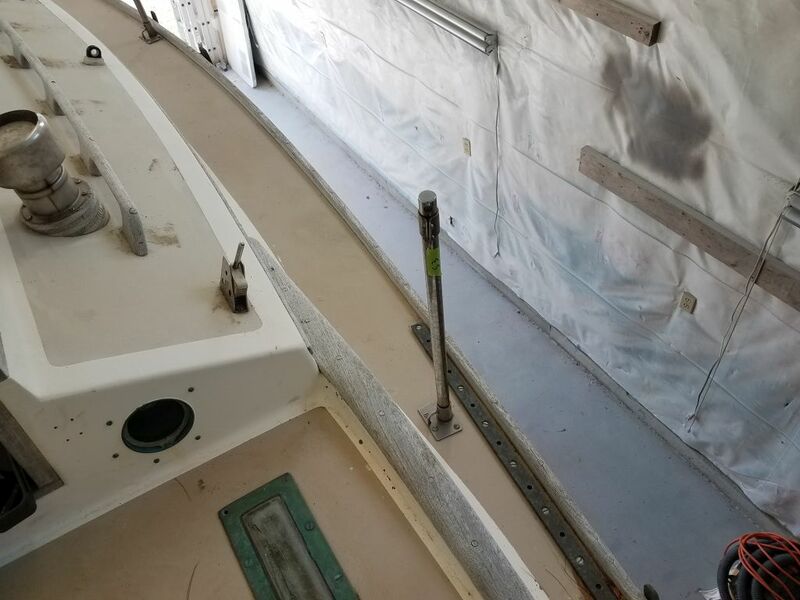 Continuing early preparations even though I didn’t plan to get to the major jobs involved in this project for some months, I got to work removing some of the deck hardware, starting with the lifelines and stanchions. 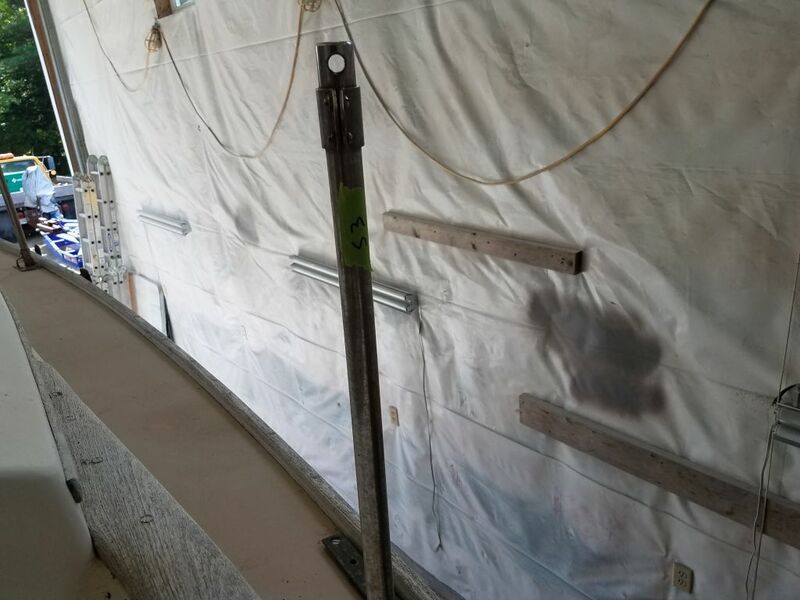 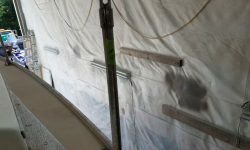 After removing the old lifelines for storage–they’d require replacement–I marked each stanchion for its location before continuing. 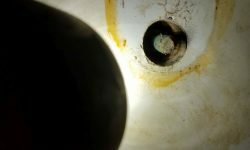 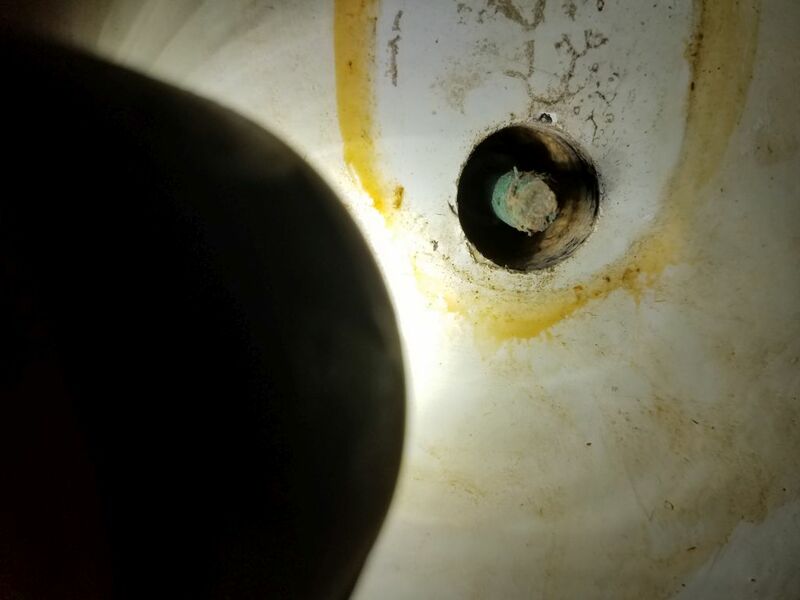 Access to the underside of these fittings was only so-so, with the molded interior liner obscuring some of the fasteners and making removal more difficult. 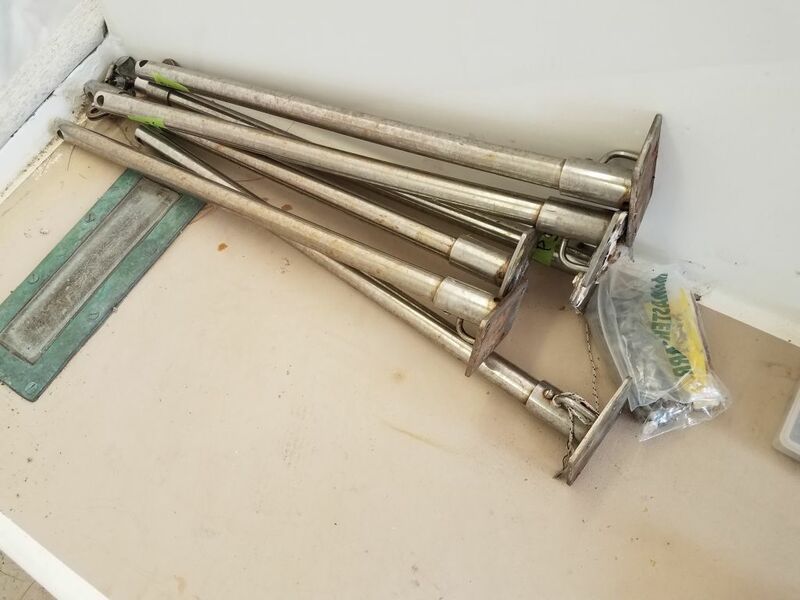 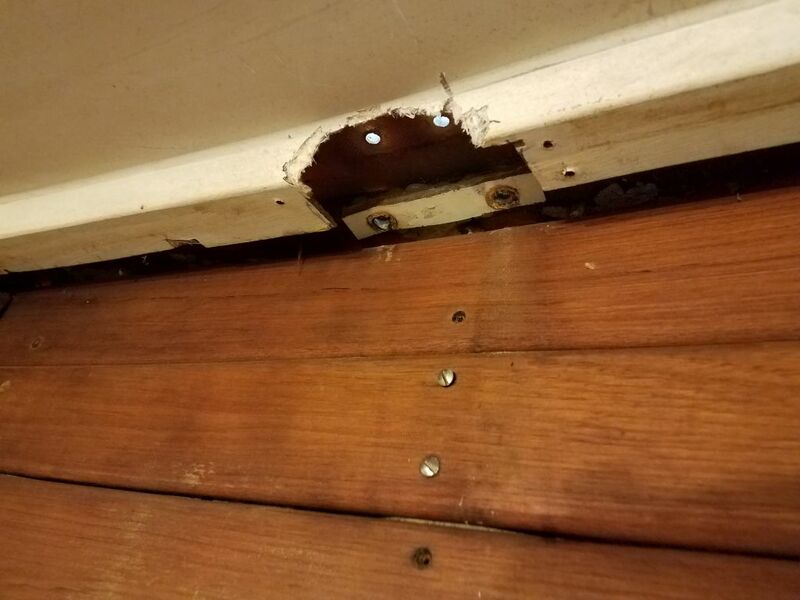 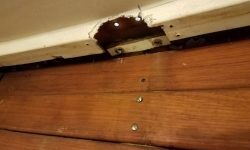 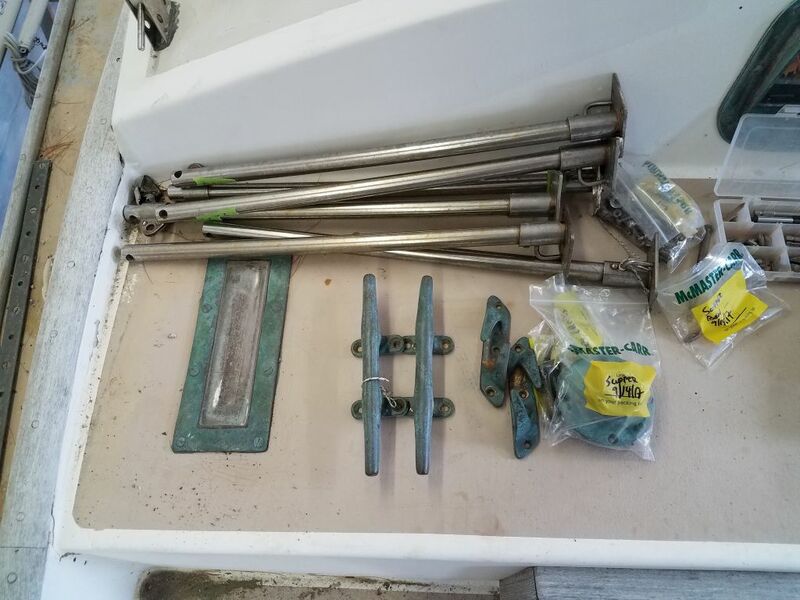 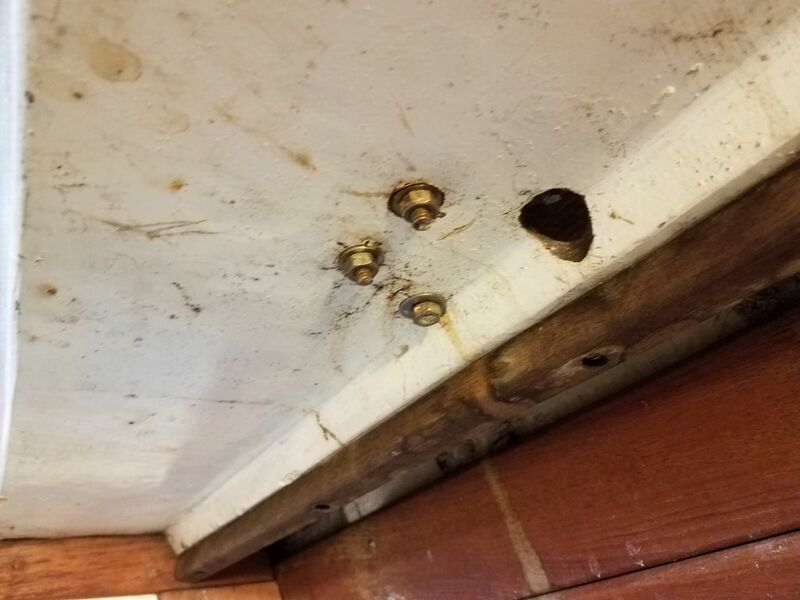 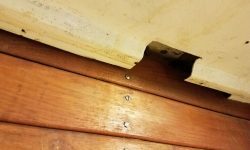 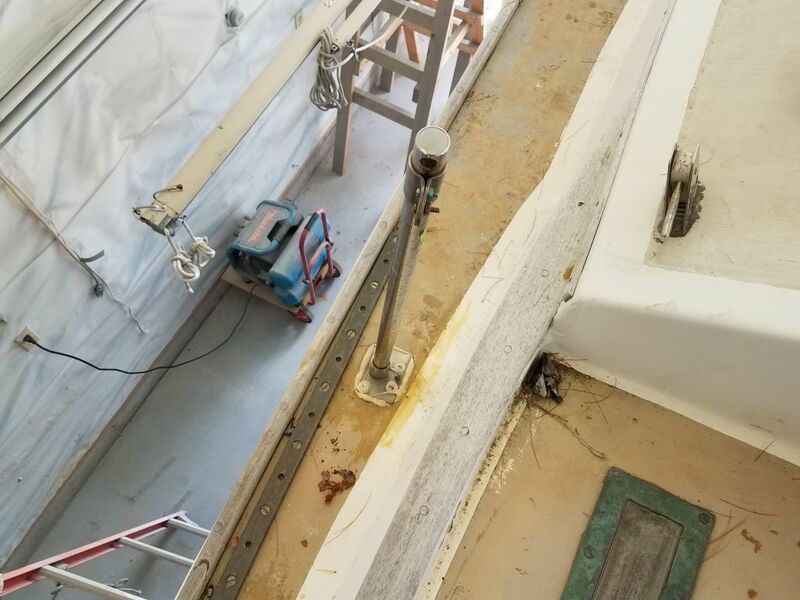 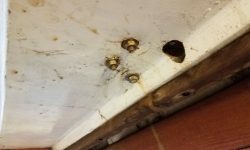 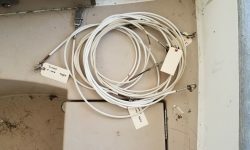 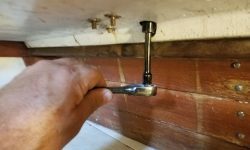 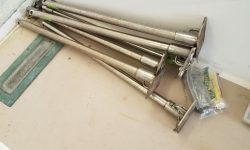 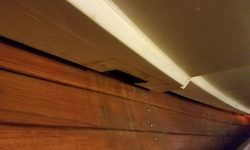 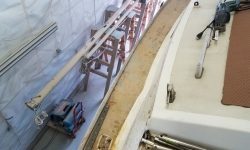 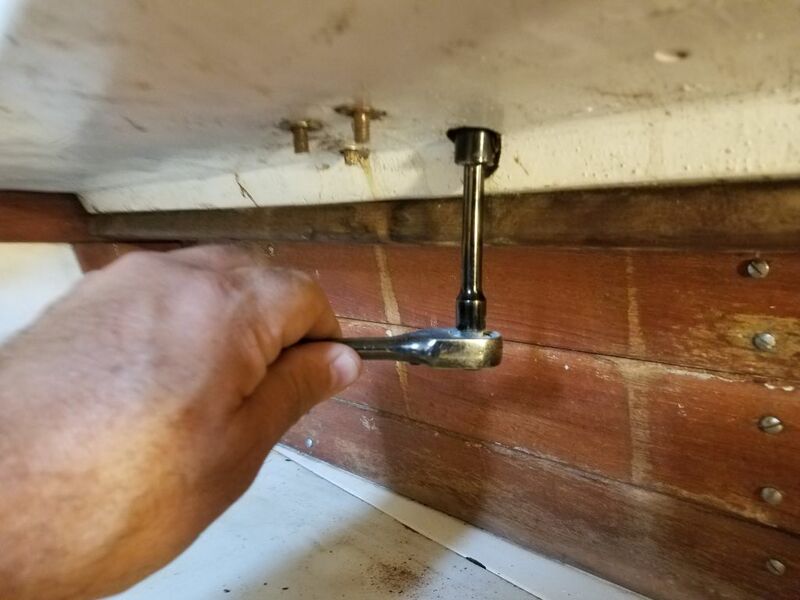 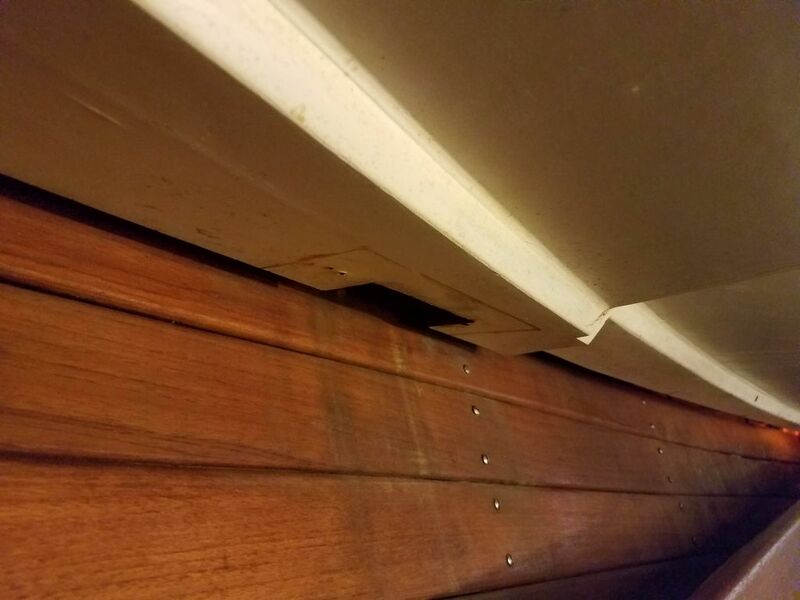 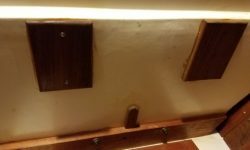 Fortunately, the fasteners themselves gave in to the removal efforts with nary a whimper, and the bulk of the time spent on the task came from the usual back and forth and up and down and challenges in fastener access. 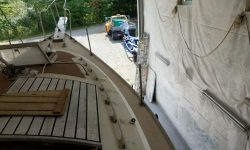 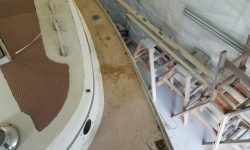 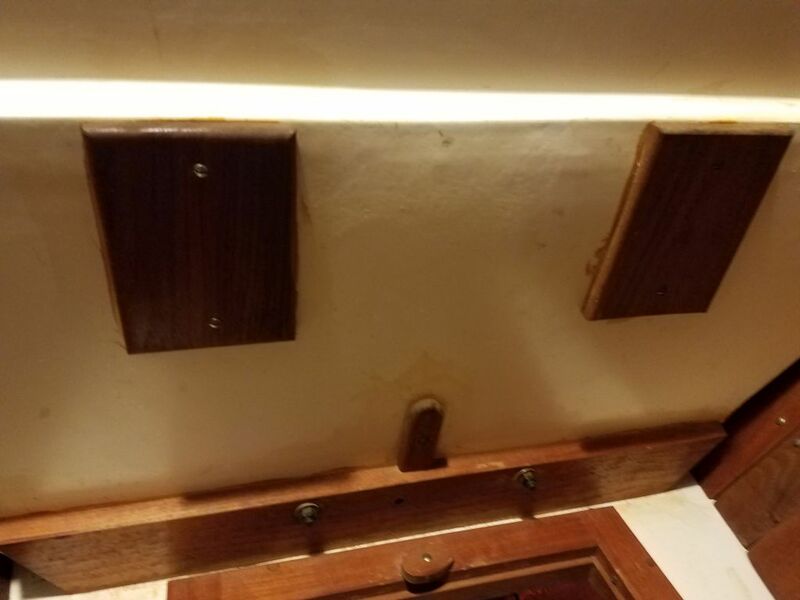 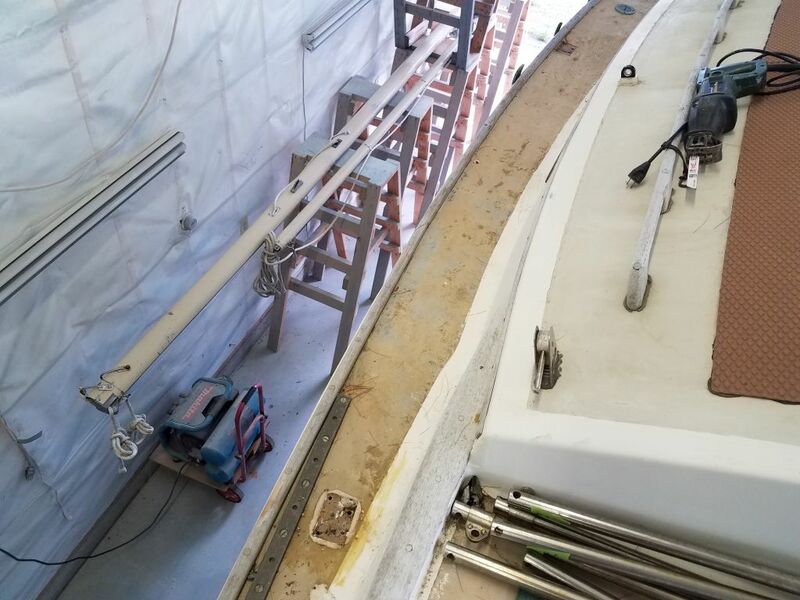 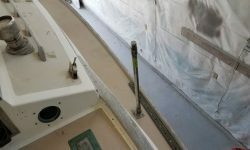 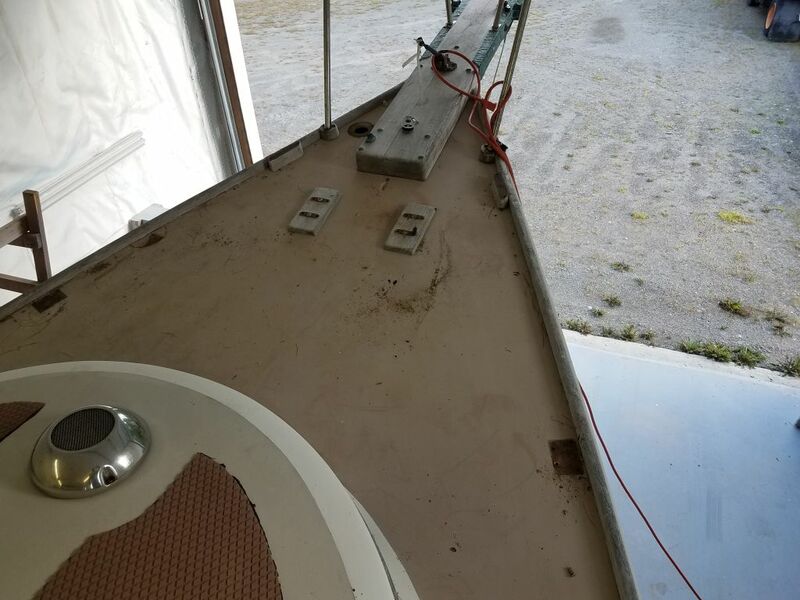 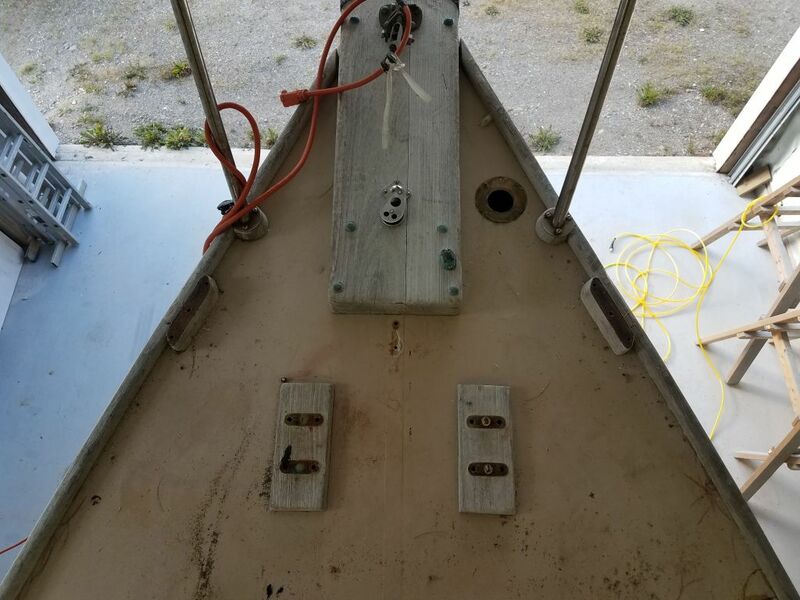 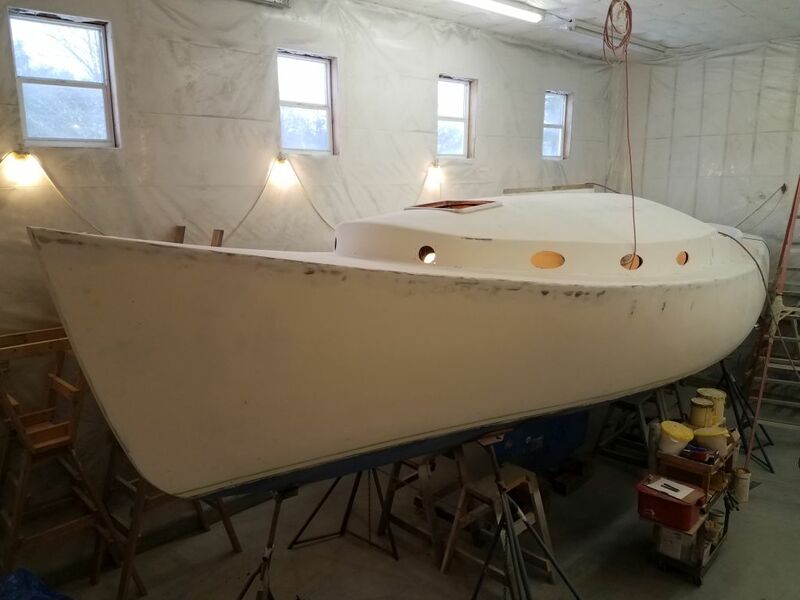 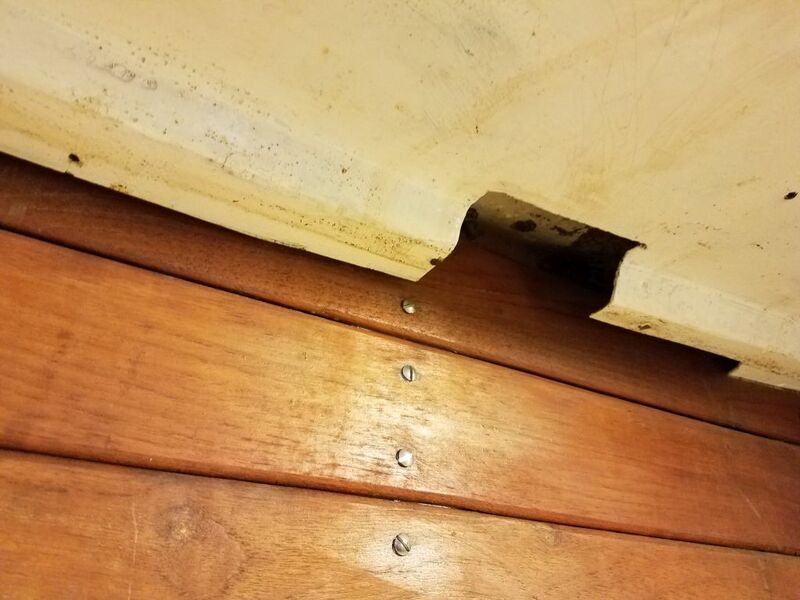 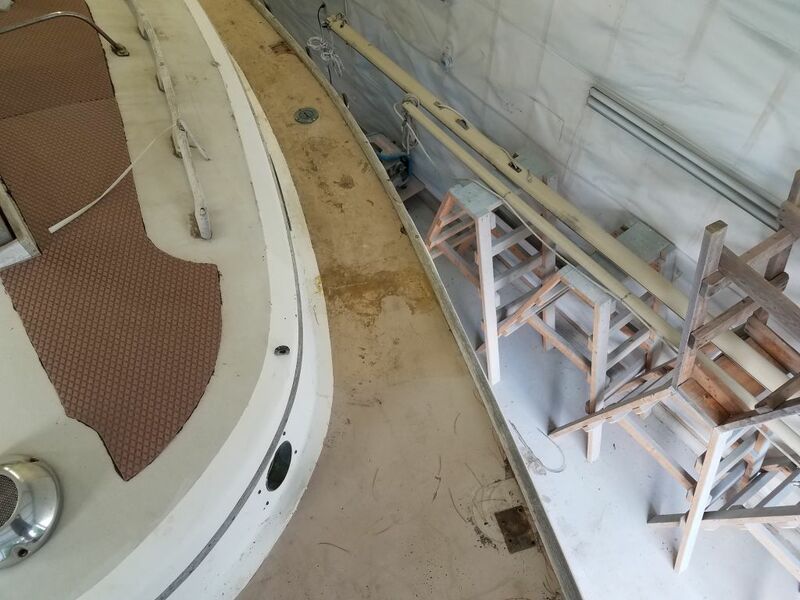 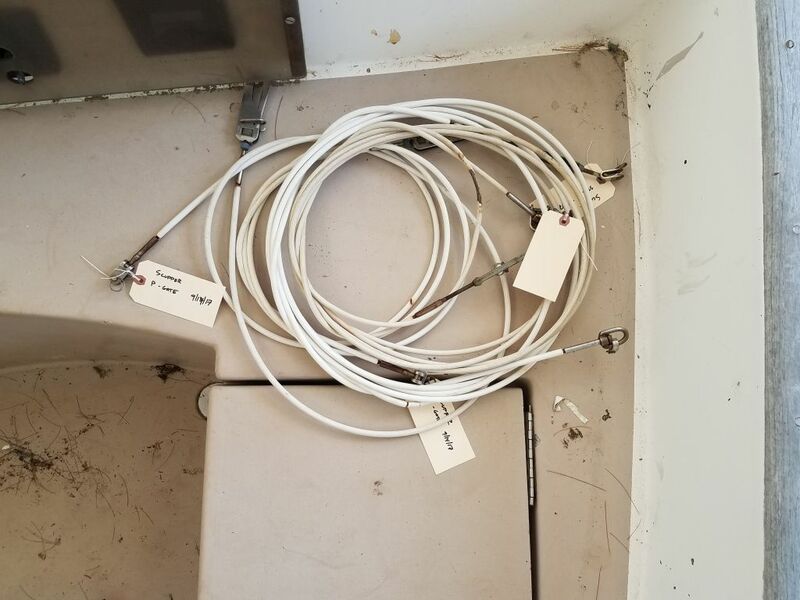 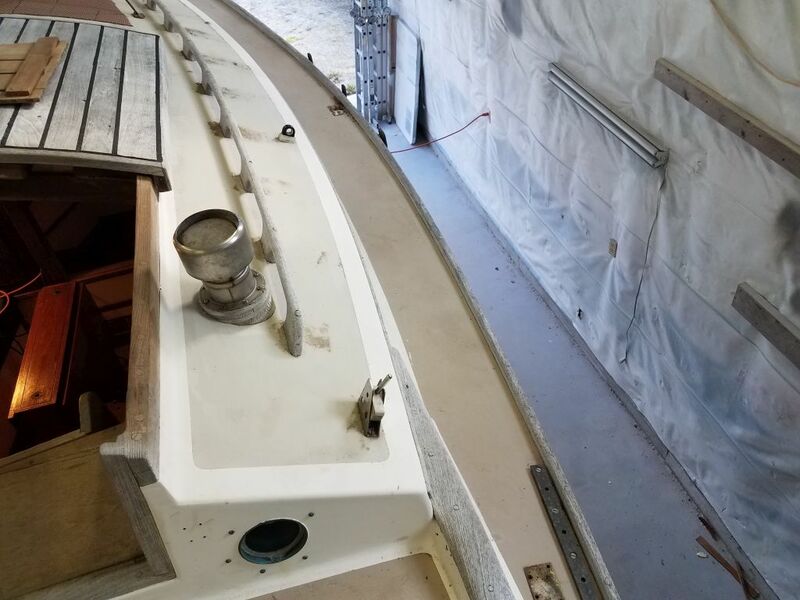 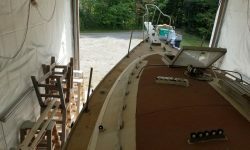 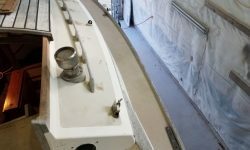 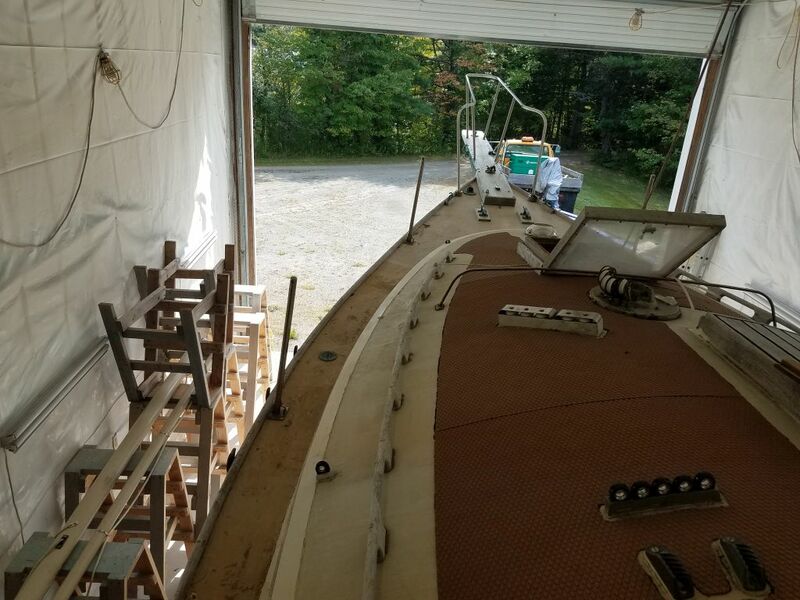 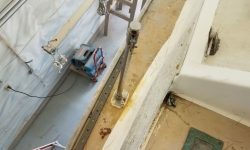 With the six stanchions removed (which improved fore and aft access along the narrow sidedecks for now), I continued at the bow and removed the two large mooring cleats, bow chocks, and the anchor line hawsepipe through the foredeck. 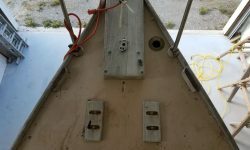 The cleats and a small eye strap fitting were frustrating to remove since the nuts were embedded deeply in narrow holes drilled through a solid plywood backing located between the interior liner and the deck above, with barely enough clearance for a deep socket to fit through, but fortunately the fasteners themselves didn’t spin when I removed the nuts from beneath, as this would have substantially complicated the removal. 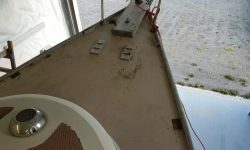 0600 Weather Observation: 50s, clear. 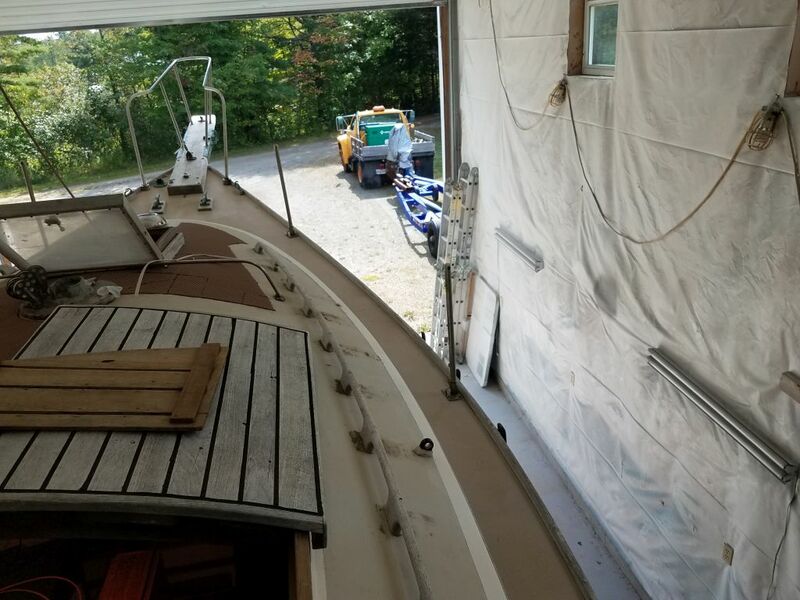 Forecast for the day: Sunny, 80s.